If you are a fan of Star Control you will quickly notice this map is made with love from a fanboi. You will see every ship featured in Star Control 2, including the ones only available in super melee like the Androsynth Guardian. 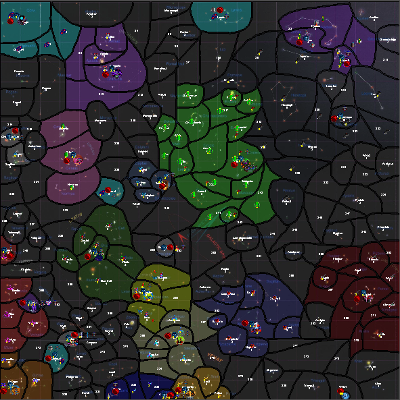 This map does play differently than most space maps however in that every tile is a land tile and all ships are considered land units(except 2 air units). This may seem odd but is mostly canonical since in Star Control 2 you knew a system was owned by a specific race because they had ships in the system, not because of soldiers on the planets. Read game notes before playing.